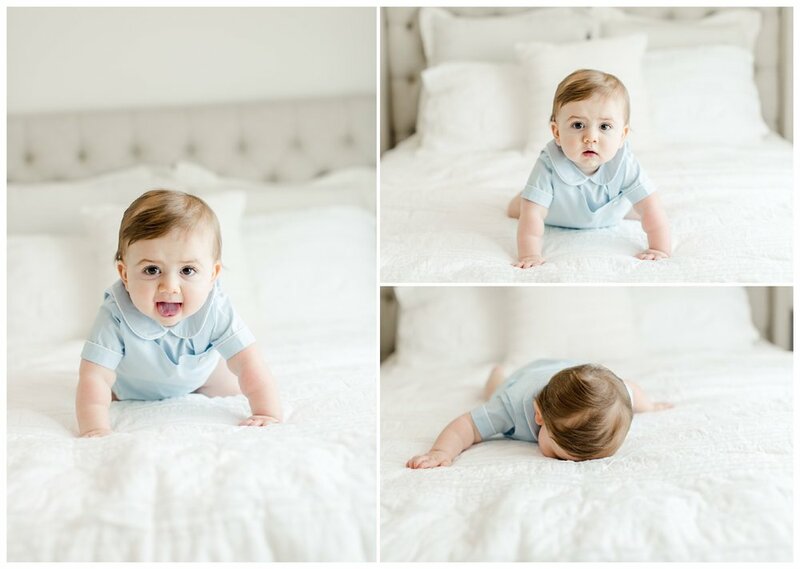 I am LOVING these Simply Baby mini sessions that I offered this month. I adore babies (I mean, who doesn’t?!) and these sessions give me all the feels. I could cry tears of pure joy during these sessions. They are so cute at this stage- sitting up but not crawling. Doing all the cute babbles, grabbing their feet, rolling over. It’s just adorable overload. The Client Closet is well stocked in simple baby outfits that are perfect for these sessions so you don’t even have to worry about what your baby will wear! Just come to the studio in their pjs and pick out an outfit! So easy! To learn more about baby Milestone Sessions click here. If you are interested in booking your own baby session, contact me and we will get it scheduled! Harry was such a cutie pie during his session. He was so happy and curious. I could have played with him all day.